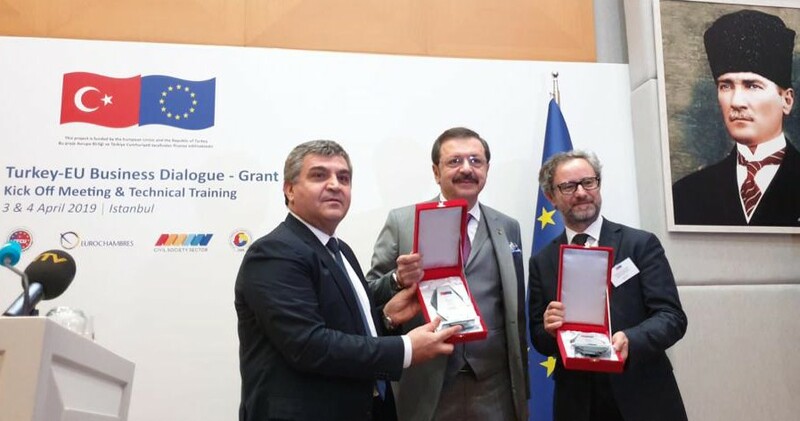 The kick-off meeting of the “Turkey-EU Business Dialogue Twinning Projects” was held on 3 April 2019 in İstanbul. 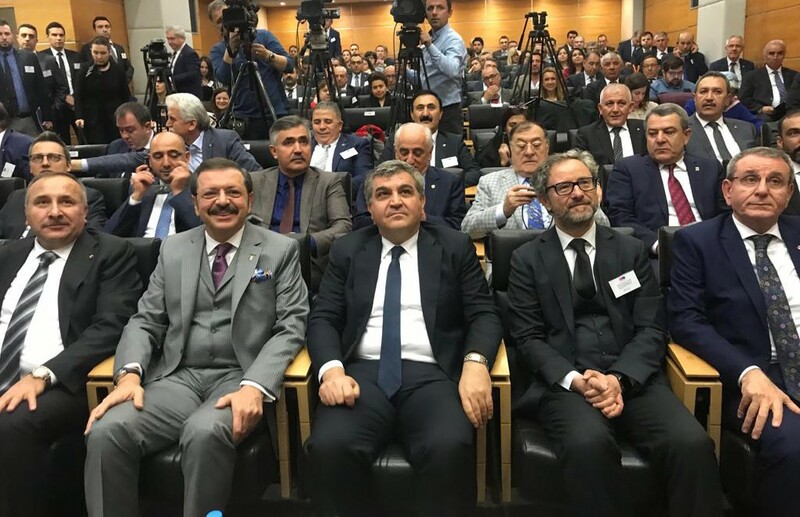 Turkey-EU Business Dialogue Twinning Projects will be implemented by TOBB and EUROCHAMBERS under Instrument for Pre-Accession (IPA) civil society sector, whose beneficiary is the Ministry of Foreign Affairs, Directorate for EU Affairs. Following the opening speeches delivered by Ambassador Faruk Kaymakcı, Deputy Minister of Foreign Affairs and Director for EU Affairs, M. Rifat Hisarcıklıoğlu, President of TOBB and Vice President of EUROCHAMBERS and Gabriel Munuera Vinals, Deputy Head of the Delegation of the European Union to Turkey, twinning projects to be implemented under the programme were introduced to the participants. Under Turkey-EU Business Dialogue project having a total budget of 5 Million Euros, 19 dialogue projects to be implemented by industry and trade chambers will be supported. Besides, a series of activities will be carried out under the project for two years in order to enhance business dialogue between Turkey and EU member countries. In his speech, Deputy Minister of Foreign Affairs Ambassador Kaymakcı emphasized that projects implemented through IPA funds strengthen competitiveness of national economies and promote further participation of Turkish business world in European markets by increasing Turkey-EU business cooperation. The meeting ended with the presentations of twinning projects.